Sports is part of business and corporate culture and you need to be in the loop. You see it all the time. The conversations between colleagues about the “big game.” The comparisons to teamwork, or the number of sports metaphors that come up during staff meetings. And you just don’t get it. If you’re tired of feeling left out, or can’t shake the feeling that you’re missing out, veteran sports broadcaster Jen Mueller can help. After more than a decade on the sidelines and in locker rooms, she knows a thing or two about how to talk sports. Jen will guide you through a step-by-step process to becoming a fan for business. o Decide where to start in picking a team or sport to follow. 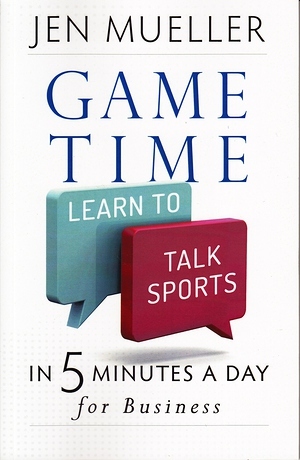 o Build your sports knowledge base in 5 minutes a day. o Read a box score.